Fiano is a grapegrowers dream. This Campania native produces perfectly balanced fruit with little fuss in the vineyard, is drought tolerant and resistant to disease reducing vineyard application requirements, and naturally high in acid, meaning less intervention required in the winery. It has been the best fruit of the vintage at Chalmers on many occasions, which is quite an achievement when you consider there are about 40 different varieties over the two properties. The 2014 Fiano shows white flowers, fresh white stone fruits and flinty notes on the nose. Almond bitterness and savoury lees contact characters balance more stonefruit on the focused but generous, textured palate completed by a lingering, refreshing finish. The top tier wine of the Chalmers whites. This grape has shone since day one in both Chalmers vineyards and has really made it’s home in Heathcote proving that the famous Cambrian soil is just a special for what it imparts to whites as it does to reds. 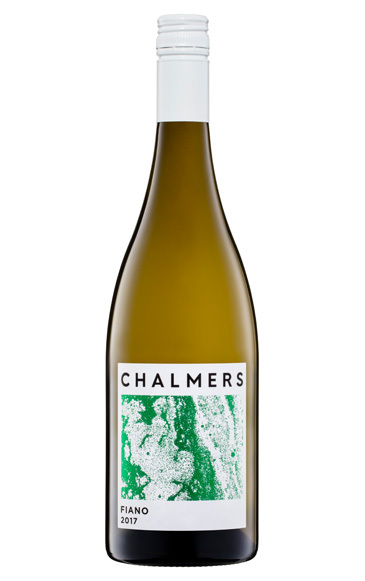 Chalmers Fiano always has a portion of wood in the winemaking, recently in a chestnut botte, it is also bottle aged before release, both to emphasise the natural bees-waxy texture of the variety. It ages with aplomb so stick it in your cellar or serve it at your next dinner party to white burgundy lovers. They will love it.